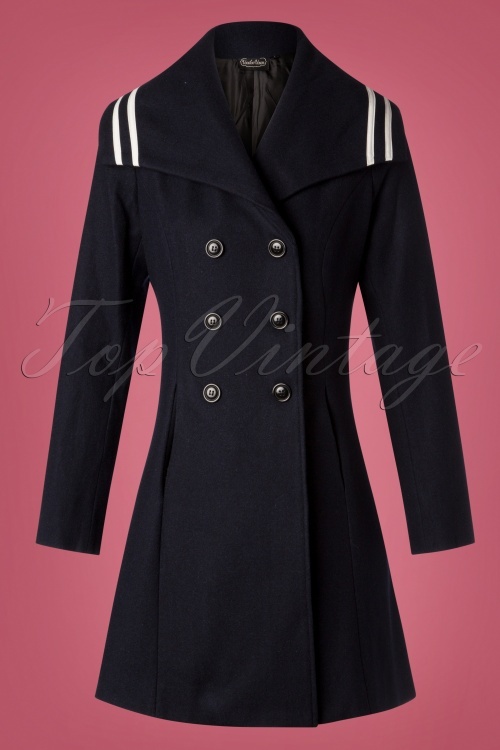 The 50s Jennifer Nautical Coat in Navy is a stunning warm classic coat! 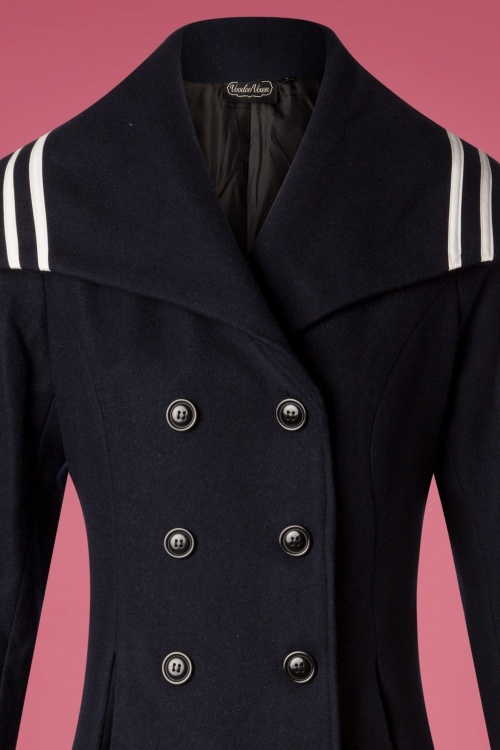 This vintage-inspired trench coat style beauty features a wide collar with contrasting, white sailor stripes and double breasted buttons. 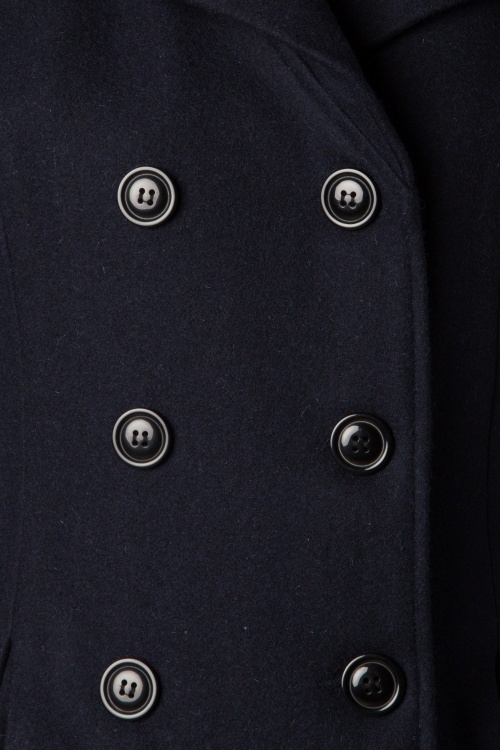 Made of a heavy quality, firm, yet supple wool blend (doesn't stretch) in a classic navy blue colour and lined for extra comfort. 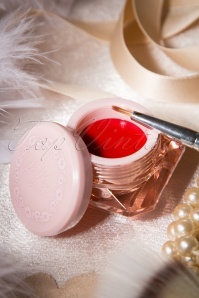 You won't regret adding this beauty to your winter wardrobe!